Based on Shakespeare’s play, Timon of Athens tells the tale of conspicuous consumption, debt and ruin. 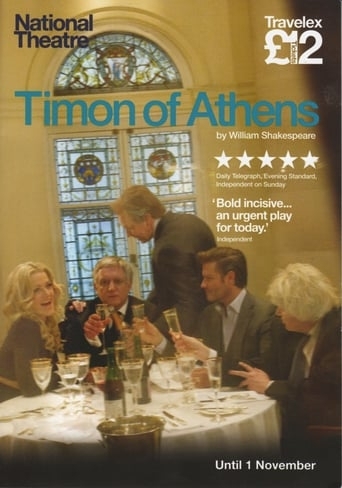 Timon of Athens is a wealthy friend to the rich and powerful. With his riches, he showers hospitality on the city’s elite. Unfortunately, his associates don’t lend him a helping hand when he accidentally spends more than he has on resources. After a final banquet, Timon is forced to withdraw himself to a wasteland, living off nothing but roots and cursing bankrupt Athens.